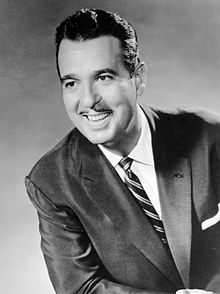 1:11- Robb tells us a bit about Tennessee Ernie Fords classic song, “16 Tons“. 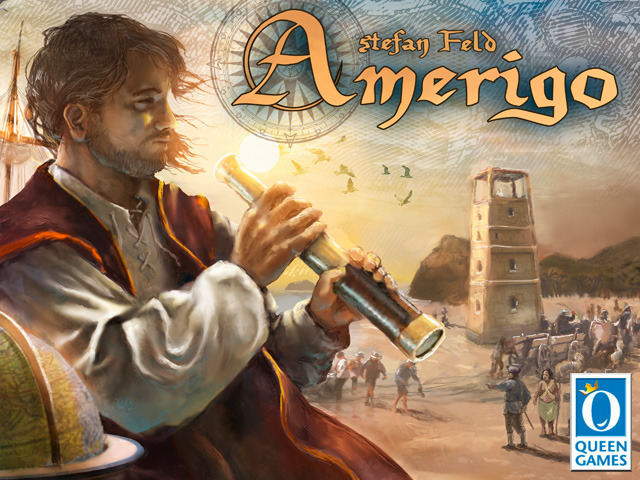 2:40- Patrick talks about the most recent game from his Designer Boyfriend, Stefan Feld, Amerigo. 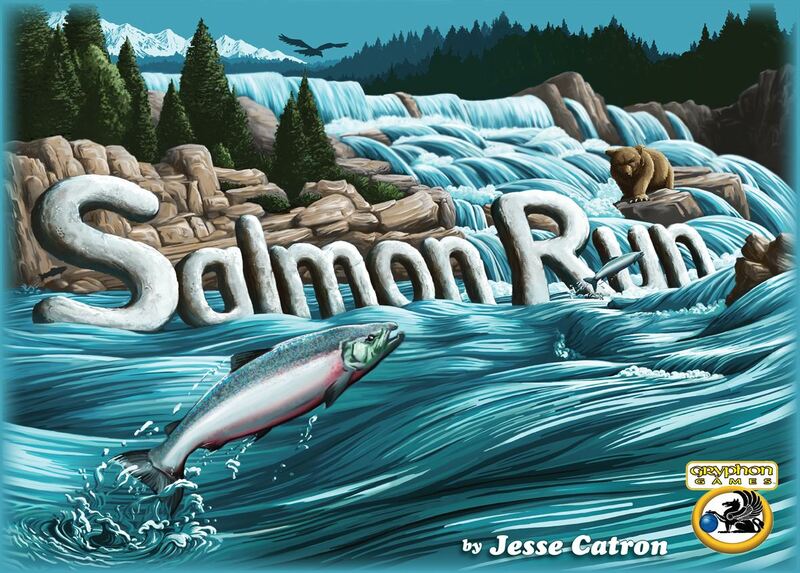 5:27- Patrick reviews a game about fish getting it on, Salmon Run. 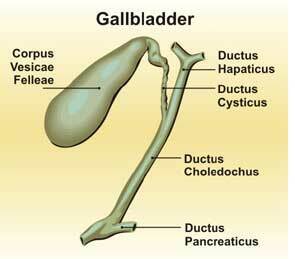 7:20- The Blue Pegs discuss Christine’s recent surgery and her failing body. 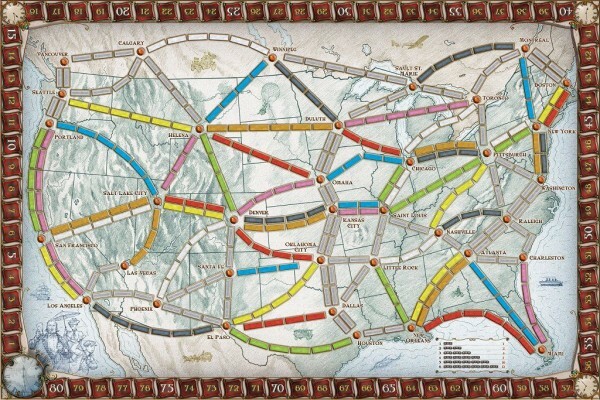 8:10- Robb discuss the phenomena of “blocking hate” in Ticket to Ride and ask the PegHeads to let us know what they think of blocking in that game. 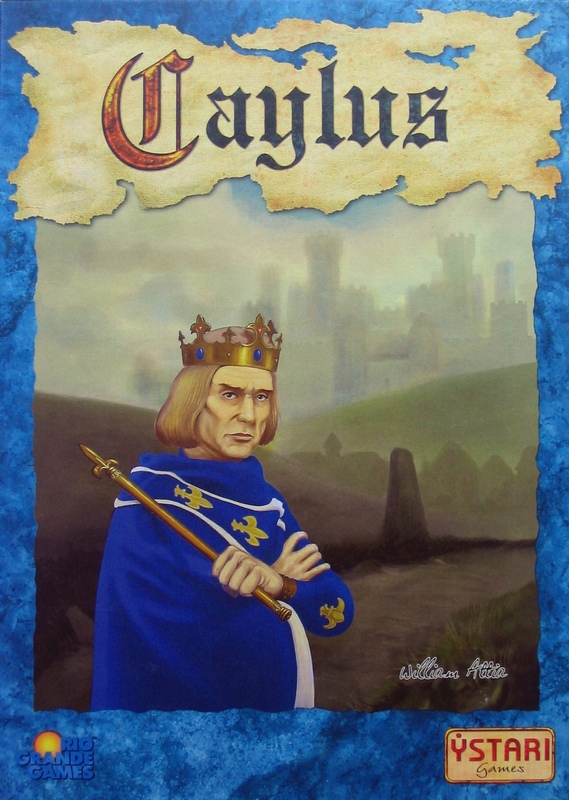 11:58- Patrick discusses recent plays of the classic worker placement/action selection game Caylus. 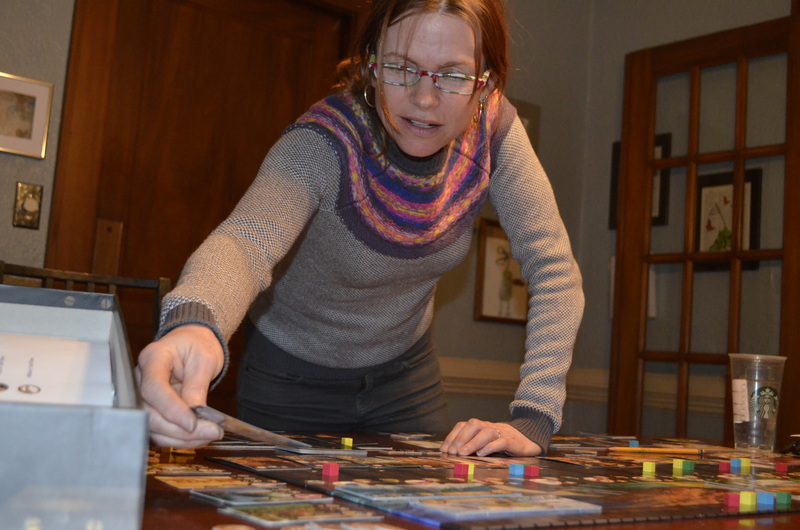 14:24- Patrick provides a two player review of Reiner Knizia’s Lost Cities. 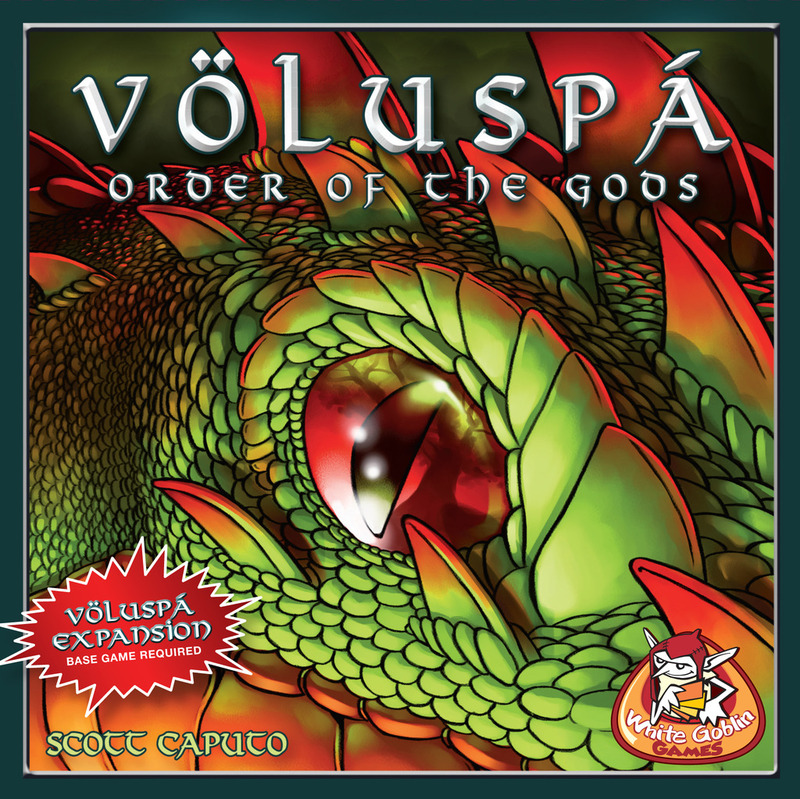 16:36- Robb and Patrick talk about the VOLUSPA: ORDER OF THE GODS / ROGUE AGENT – PREORDER CONTEST! 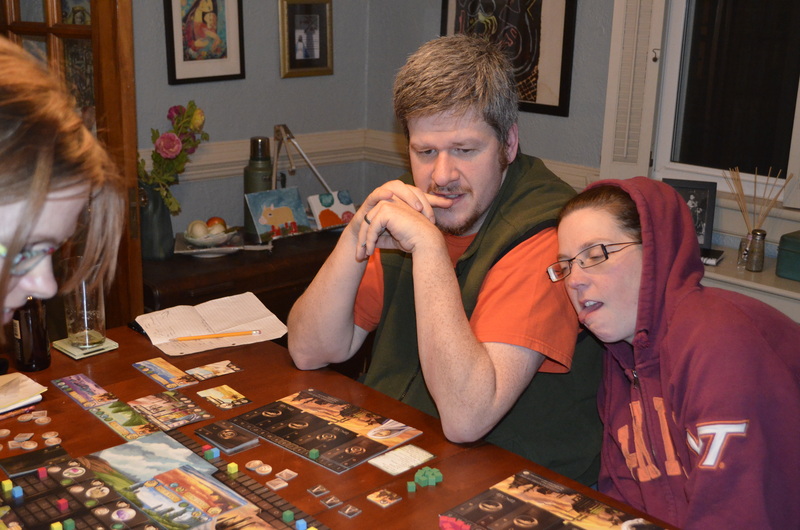 sponsored by Stronghold Games (mention is also made of the proper pronunciation of the word Volus’-pa). 19:16- The guys discuss their plans to attend GenCon 2014. 20:15- Patrick let the PegHeads know that if they want to meet Pink Peg Keri (and Patrick, I guess) in person they can come out to PrezCon, Feb. 26 – Mar. 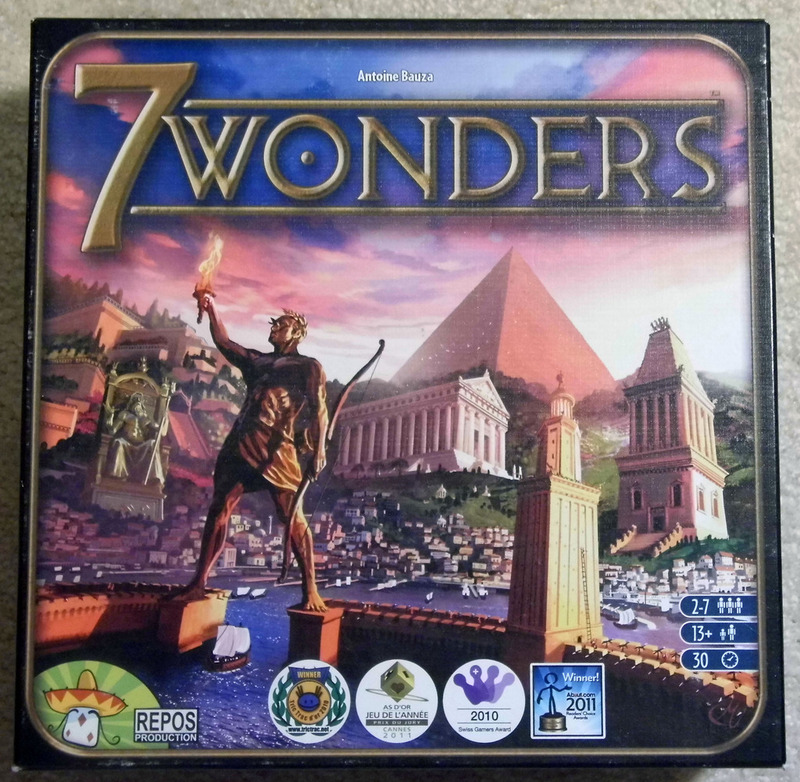 2, 2014, in Charlottesville, VA.
21:47- Robb discusses the announcement that 7 Wonders will be coming to ioS. 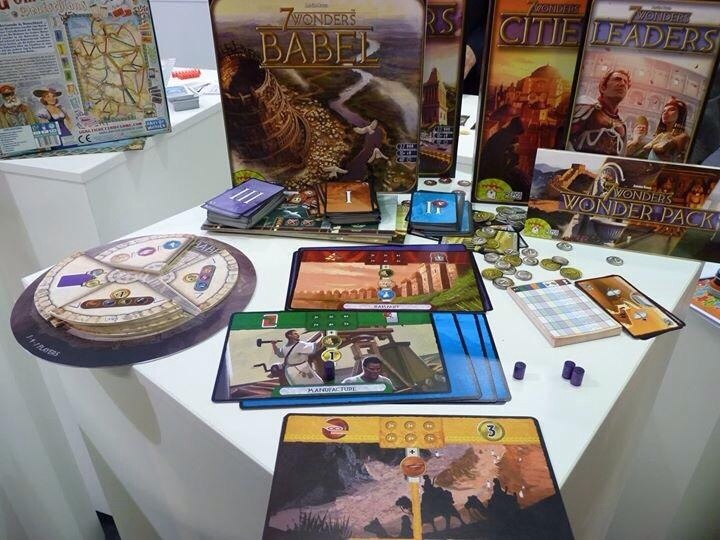 22:34- Patrick talks about the upcoming expansion to 7 Wonders, Babel. 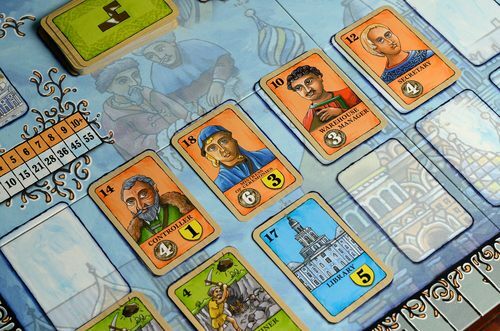 23:18- Patrick talk about the upcoming kickstarter campaign for a reprint of the classic tableau game, St. Petersburg. 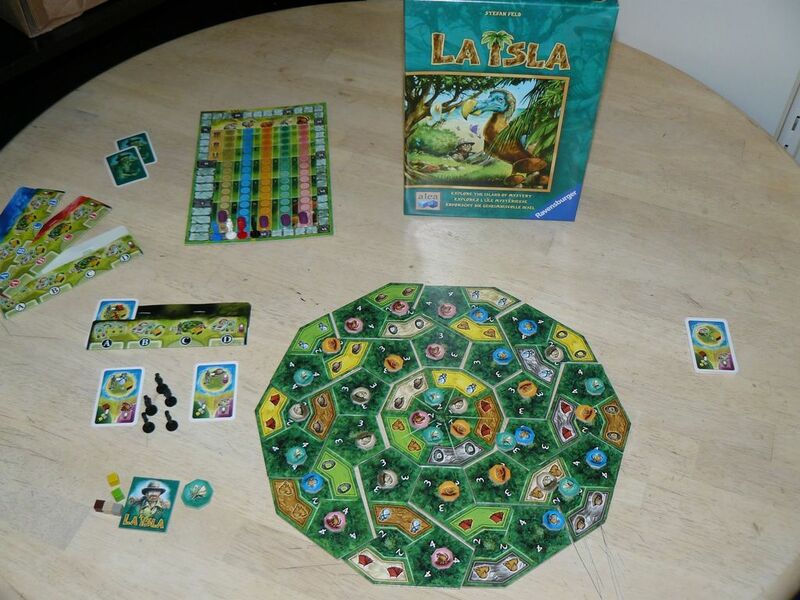 24:36- Patrick talks about Stefan Feld’s upcoming game La Isla. 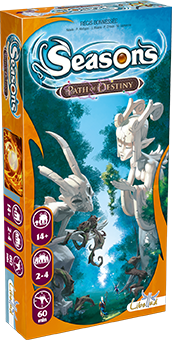 25:52- The guys express pleasure at the March release of Seasons latest expansion, Path of Destiny. 26:50- Homage is once again paid to Stefan Feld when the guys become giddy over the prospect of the upcoming Bruges expansion, City on the Zwim (ed. 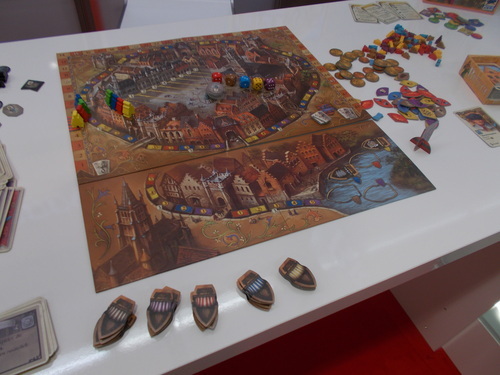 note- the boats will be a game effect that occurs upon a role of 3 or 4 wherein new and changing rule modifications will be inserted into each game). 28:55- Patrick provides a rules review for City of Iron. 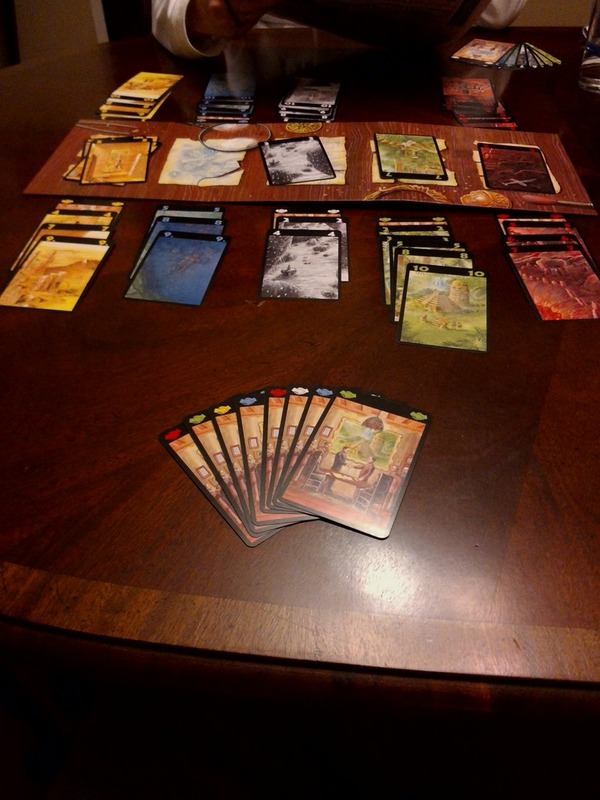 40:48- All of the Pegs review Ryan Laukat’s 2013 civilization building game City of Iron. 1:06- The Pegs subject Blue Peg Patrick to grilling in the Blue Peg, Pink Peg Hot Seat.